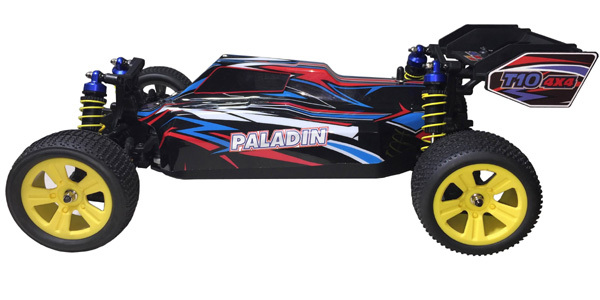 This is the brushless version of the Acme electric Paladin. 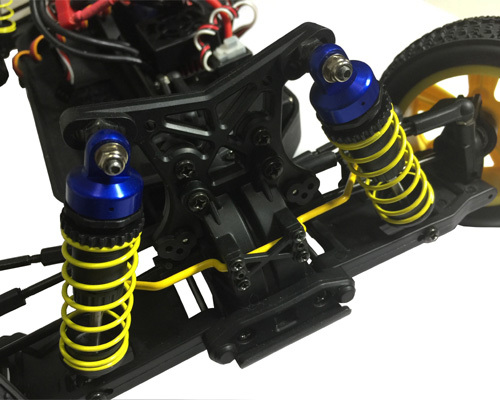 The 2700KV brushless motor is paired with a 45Amp waterproof brushless ESC and pushing the RC car to faster speeds. 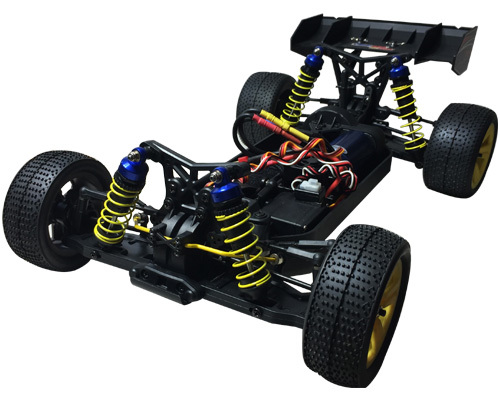 This buggy delivers good acceleration, fast top speeds and amazing cornering providing you with an exhilarating driving experience! 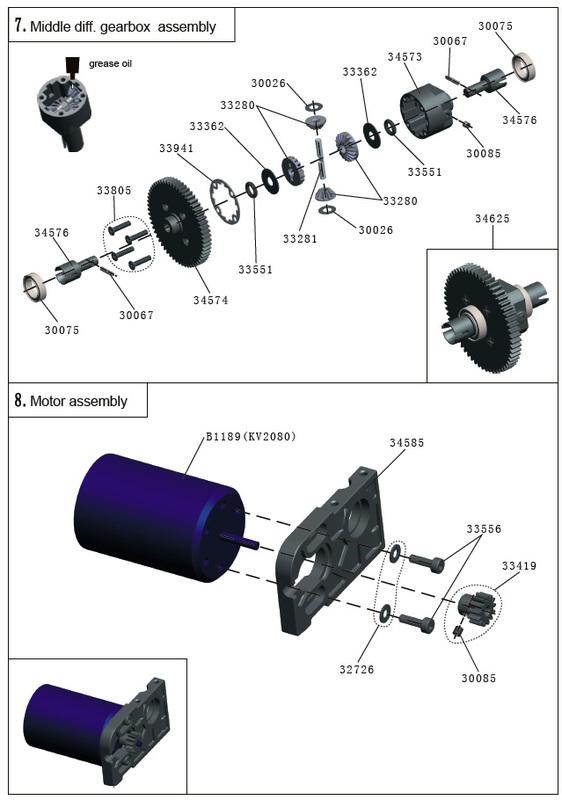 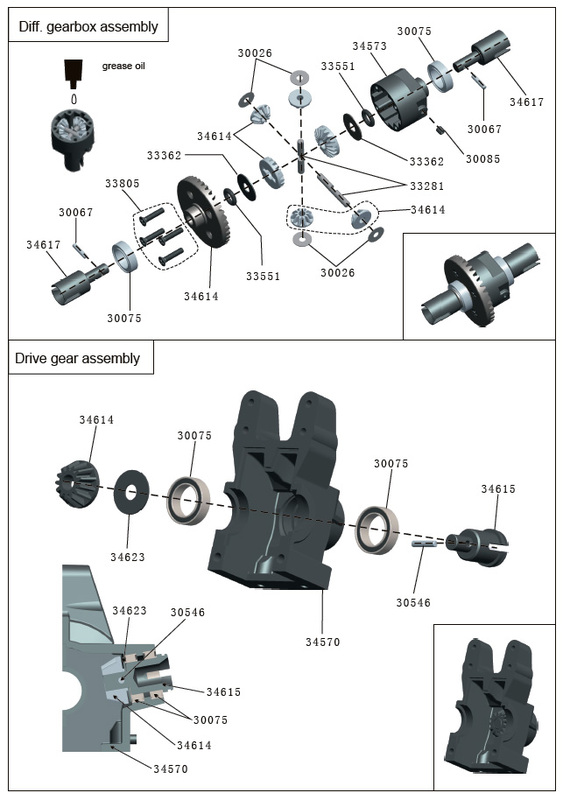 Acme not only particular about materials, but also devoted themselves in pursing refined design, such as steel transmission system, mental drive and outdrive gears, front CVD and adjustable suspension system. 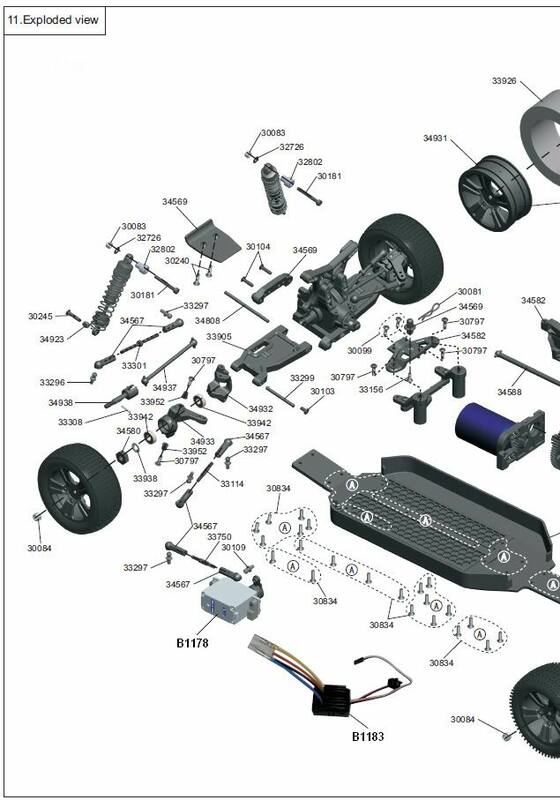 With a model that looks like this you are going to want to hit the off road pretty hard so with that in mind all the electronics have been upgraded to waterproof and dust proof versions and the differentials are impact resistant designed. 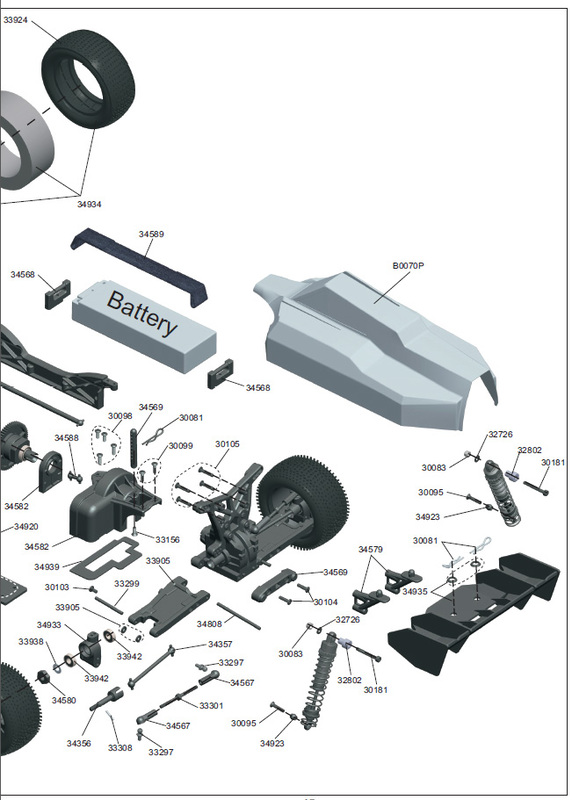 This is a precision manufactured high quality model and easy to control! 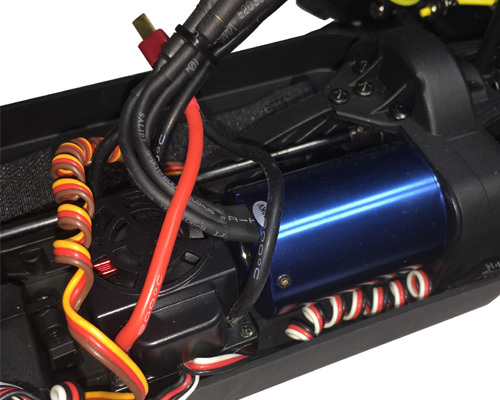 Servo: waterproof 4kg High-torque servo.